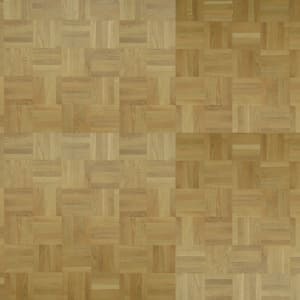 Medium Natural coloured Iroko Parquet Flooring In the Vanguard Parquet Range, that has a Unfinished Finish with a Natural Surface and is 13mm Thick and 70mm Wide. 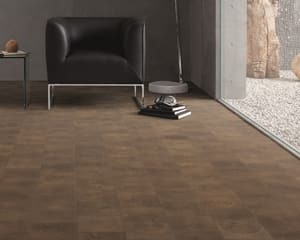 Milled to same visual dimensions of a solid block with the stability and durability of being engineered and suitable for underfloor heating. 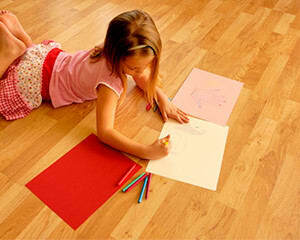 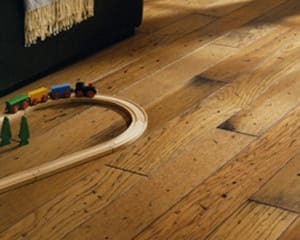 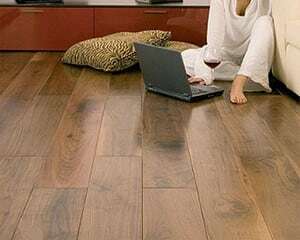 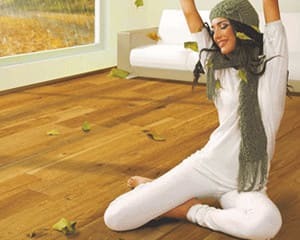 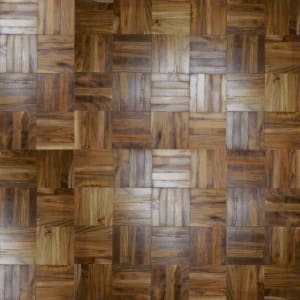 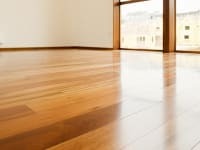 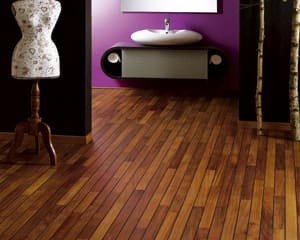 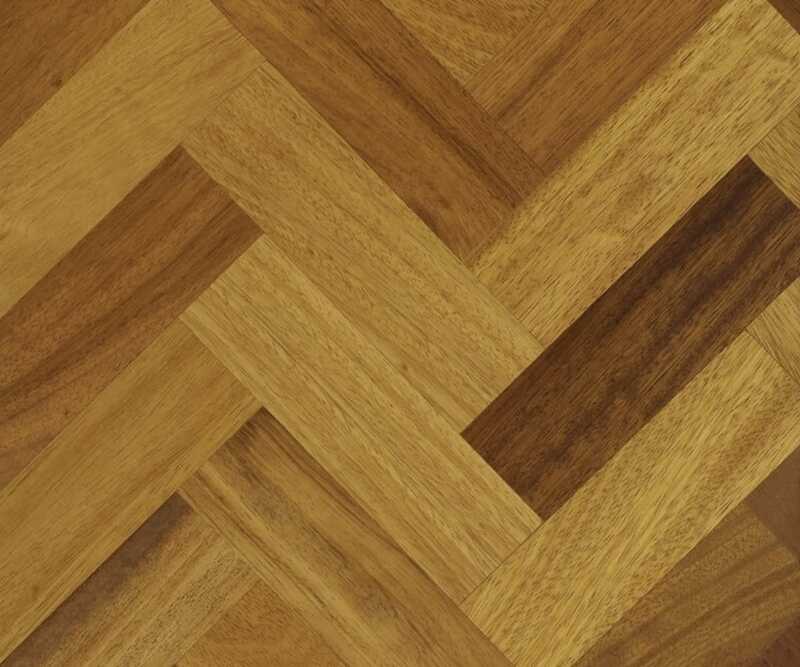 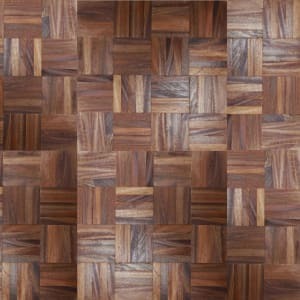 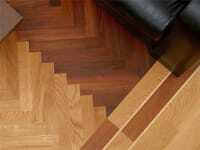 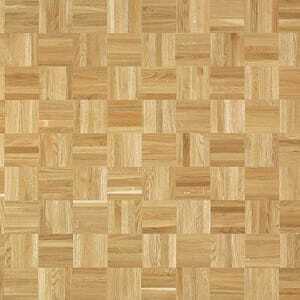 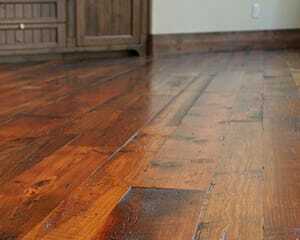 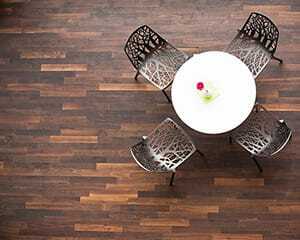 The most popular type of pattern found in UK properties for parquet block hardwood flooring is Herringbone and commonly found in many homes and buildings which are applied in a single or double format with a double border.